Grocery shopping is an inevitable part of life. Whether you choose to do your shopping at the corner grocery, Whole Foods or your local Walmart, remembering what you need and trying to stick to your budget can be a hassle. Wouldn’t it be fantastic if this chore was a little easier? That’s the goal of the dozens of grocery apps currently available. But with so many out there, how can you choose the one that best suits your needs? Lincoln SDA Credit Union to the rescue! 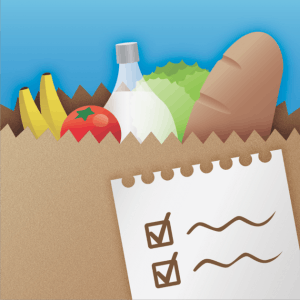 We’re proud to bring you a review of the best grocery apps. All to make your life a little easier. This one has the word “IQ” in it for a reason; it’s built smartly! 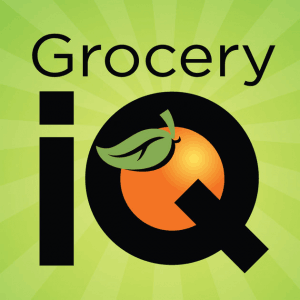 Grocery iQ also wants to make you a smarter shopper. This free app is one of the most full-featured grocery list apps available. It allows you to create shopping lists, scan barcodes and perform searches via voice recognition. Best features - Grocery iQ allows you to scan an item’s barcode and then store it in the app’s memory to add to future grocery lists. It’s also equipped with the super-convenient ability to clip and print coupons – it’ll even show you which coupons are available for the products on your list! Best of all, when you create a Grocery iQ account, you can sync it with your store’s loyalty card and add your coupons directly to your store account. Glaring glitches - While Grocery iQ will show you coupons for the items you’re searching for, it won’t tell you what’s on sale in other stores or offer any help with creating your menu for the week. Everyone hates running out of milk. This free app wants to make sure you never have to experience that inconvenience again! 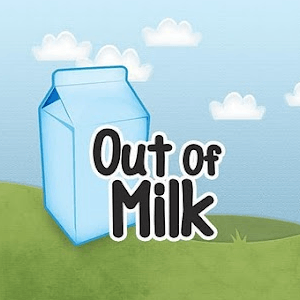 Out of Milk allows you to create a fun, interactive grocery list that makes shopping super-easy. It also lets you design to-do lists for other areas of your life outside grocery shopping. Best Features - Out of Milk’s defining feature is its Pantry List. Aptly named, this feature allows you to keep stock of what’s in your pantry and alert you when you’re running low on a food item or staple so you know when it’s time to restock. It’s like shopping with your pantry in your back pocket! Glaring Glitches - Out of Milk shines at pantry-tracking but has no added features for menu-planning, coupon-clipping or even comparison shopping. Grocery Pal is the bargain shopper’s dream. The free app was designed to help you browse the latest sales and deals at your favorite supersized and midsized stores, allowing you to add on-sale items to your existing grocery list with an easy click. Grocery Pal is also adept at organizing your recipes and tracking the items in your pantry. It’s truly an all-in-one app! Best Features - No more messy coupon-clipping! Grocery Pal not only allows you to browse the local sales, it will search for deals on the items on your list on its own, with no input or effort on your part. Glaring Glitches - Grocery Pal will not allow you to scan a barcode and store an item in its memory for future lists.